Reward members for up to 13 actions. Encourage them to follow or share your store on social media, refer their friends to your store, leave a product review, and more. Get familiar with our different ways to reward so your customers always have a reason to come back. Get creative and design a reward ladder that inspires members to keep earning points. Think about the types of rewards that will appeal to your members and that will work best for your store. See more detail on these 10 reward options and how to create them. 💡 Pro Tip: Loyalty programs with 3-5 rewards have better results than 1 reward programs, i.e. their members are more engaged with their loyalty programs, their reward redemption statistics are higher, and their member spend is greater. Go behind the scenes of your loyalty program and check your store's loyalty program preferences. Store Details - Update your store name and your loyalty 'points' label. 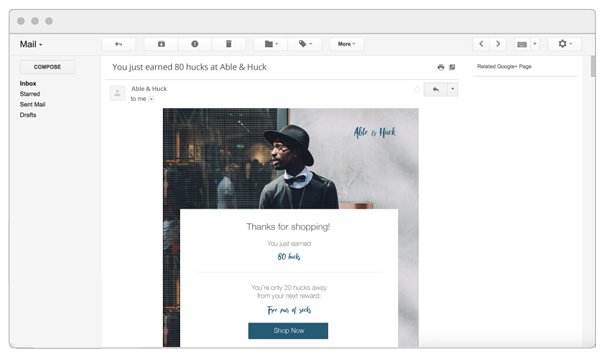 Email Notifications - Update your sender name and email address so your members recognize your store's loyalty emails. Order Rewarding - Choose when members earn loyalty points based on payment status and if they earn loyalty points for shipping and tax. We suggest following these loyalty program settings best practices. 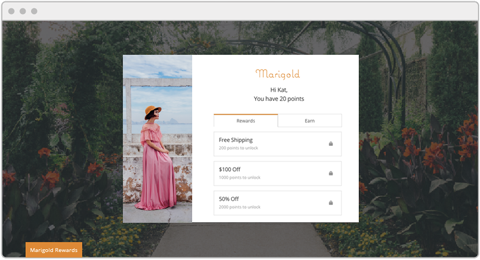 Choose and customize your loyalty program emails to notify your members when they have earned points and rewards, entered a new tier, and more. You can choose your email notifications right within the app. 🕵 Fun fact: Loyalty program members spend on average 75% more per purchase when they receive loyalty emails. Get your loyalty program working perfectly with your eCommerce store. Make sure when customers checkout that they are added to your program and choose your marketing opt-in settings. We suggest following these Shopify settings best practices to get the most out of your loyalty program. Choose your level of customization, add your store’s color theme or get a little more creative and customize your layout and background. Pick the level of customization that best displays your loyalty program. See how your loyalty program works in-store and online. Then try it yourself. > Promote your loyalty program to customers so they can start spending and earning rewards!